Over 19 coaches shortlisted by the Badminton Federation of Nigeria for the various National teams job will be interviewed on Thursday. A coach and two assistants will be interviewed for the Senior and Junior National teams each while coaches will also be interviewed for the six Geo Political zones. The interview of coaches holding at the media centre package A, National stadium Abuja by 10.00am will have three panelists led by DG IAAF/CAA high performance centre Uniport, Prof Ken Anugweje, Dr Emmanuel Igbinosa who is the Deputy Director, Federal Ministry of Youths and Sport Development in Abuja and Bamiduro Olumide - the Technical Director and Development Badminton Federation of Nigeria. President of the Federation Francis Orbih said the Federation agreed to make the various positions open to the public in other to get the best coaches who will be able to harness and develop the teeming young players across the country. Orbih also stated that the board is leaving no stone upturned in order to have Nigerian players dominate Badmintoin in Africa with four National team players led by Anu Opeyori,Godwin Olufua,Daniel Phillip and Daniel Christopher who have spent three weeks in Indonesia and are expected to be there for two months on training tour. 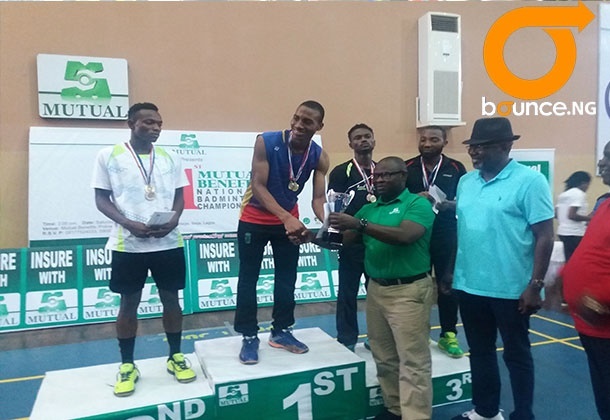 Nigeria recently returned from two international tournaments in Algeria where its athletes won 5 silver and 2 bronze medals.